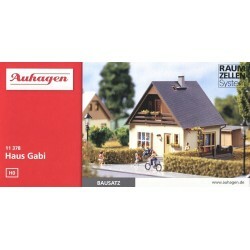 Buildings H0 There are 19 products. 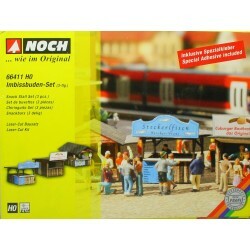 Kit includes 2 pieces platforms. 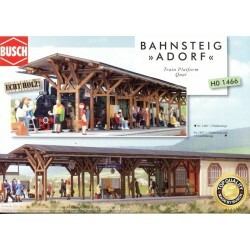 The kit is used on real wood. 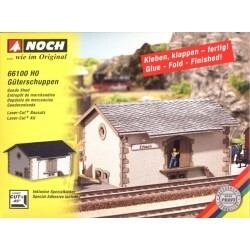 The HO Scale rabbit hutch stands out because it's detailed wire mesh doors. 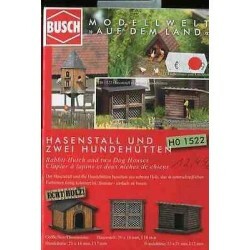 The dog houses have genuine wooden parts, pre-stained in two different colors. 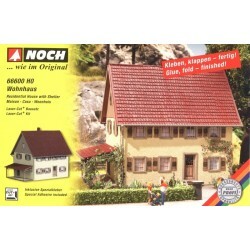 The larger house has the name Rex above the opening. 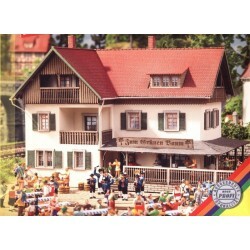 Family home for model railway with large doors to patio window with flowers, fenced terrace, steam water with other supplements. 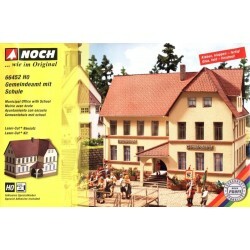 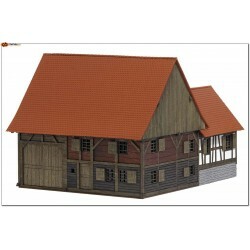 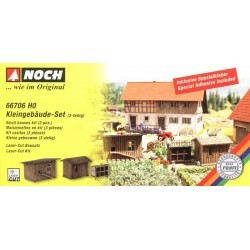 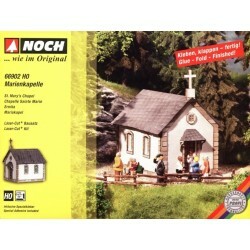 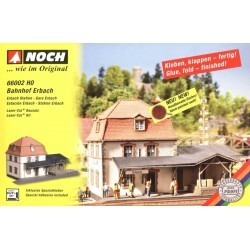 This building kit depicts the farmhouse of a resident day laborer and is based on the original built in Mennwangen, Baden-Wuerttemberg, Germany.